Angry face emoji or winky face? Let’s face it, we all have our go-to emojis. 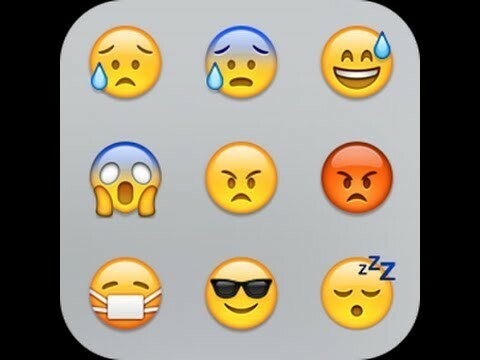 More than 2 billion smartphone users globally send 6 billion emojis daily. “Emojis are the language of today but no one has put them into the world like Pepsi will in 2016. With more than 70 global and locally uniquely designed emojis printed on cans, bottles and cups all over the world, you’re going to be able to ‘say it with a Pepsi’ all through the summer of 2016,” PespsiCo CEO Indra Nooyi said in a presentation at the Consumer Analyst Group of New York meeting in Boca Raton, Florida. Pepsi is taking emojis out of the digital world and with it, bridging the gap between retail and digital marketing. This program is coming after Coca-Cola found success with its “Share-A-Coke” packaging promotion. Customers of Coca-Cola were able to personalize their Coke or purchase a Coke to share with their bestie, their Mom, or their superstar. This was a campaign that took off because customers felt included in branding. Even at sporting events or concerts, Coca-Cola had booths set up for customers to design their own Coca-Cola bottle. This allowed Coca-Cola to connect retail with digital. PepsiCo’s design and innovation center designed all the emojis for Pepsi’s campaign, and even created a copy that shows how emojiis and Pepsi come in handy. AdAge sites this example: “When you find yourself stuck at a train station in a foreign country or at a concert where it’s too loud to speak, you can use your emojis to communicate.” This program will begin this summer and run in about 100 markets. Pepsi even intends to extend the emojis beyond packaging, teaming up with fashion designer Jeremy Scott, and creating a collection of PepsiMoji-inspired sunglasses. Just think about it, daily, in our texts messages how often are words not enough? 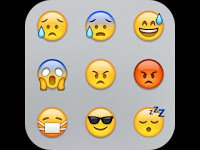 How often do we want to convey an emotion and instead of writing how we feel, we throw in an emoji? PepsiCo is capitalizing on this concept and creating the “Say it with a Pepsi” campaign. The world of digital is making an impact on retail. Pepsi chose Canada as a test market last year because it “is one of the few nations that has more than one official language, so this is a place we can really test the global appeal of emojis as an universal language of emotions that transcends linguistic barriers,” Brad Jakeman, president of PepsiCo’s global beverage group stated. PepsiCo is one of the biggest consumer brands to bring digital to life. As we continue to see the digital world expanding, I foresee more and more companies bringing trendy digital concepts into the world of retail. What could be next? Putting hashtags, retweets, thumbs up or thumbs down into your retail campaigns? Companies are constantly vying for customers and if they can create a way to reach these customers through a marketing campaign, they may be able to beat the competition.